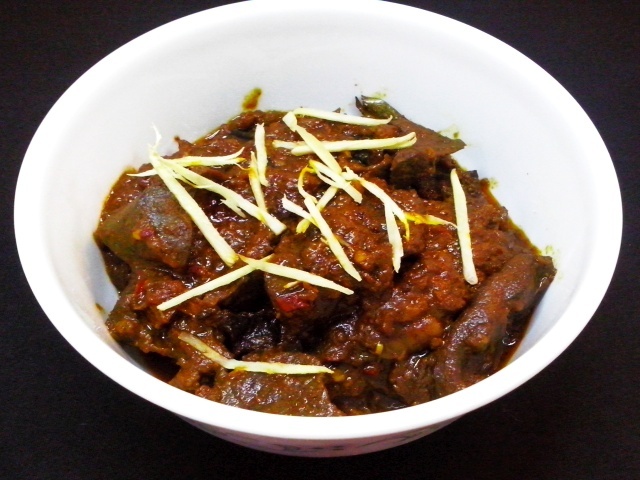 FoodFlavor Home » North Indian Recipes » Mutton kaleji : How to make spicy mutton liver curry? 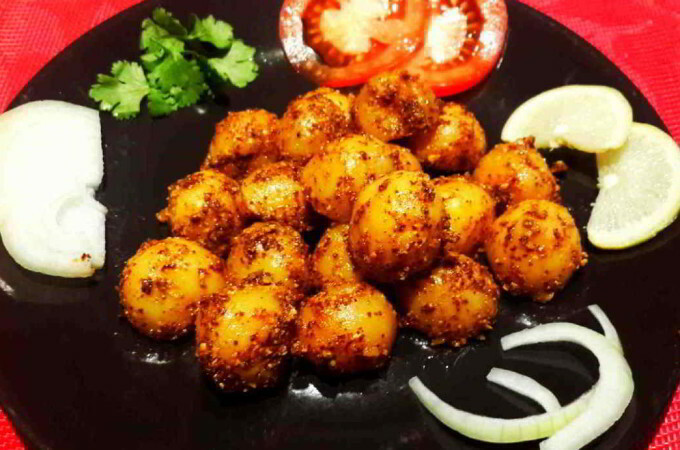 We had prepared this dish for a friends get-together some time back. 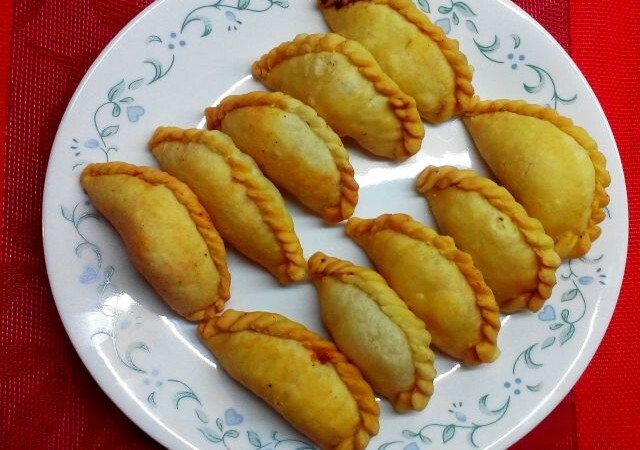 One of them requested this recipe. The marination is quiet simple. 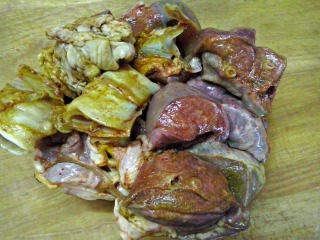 In a big bowl add mutton liver pieces, garlic paste and salt. Its best to have the liver cut into 1 inch pieces. Mix well. Keep aside for at least 30 minutes. Note that marination for 45 minutes will give the best results. 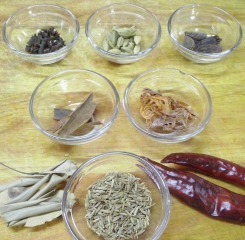 When it is smoking hot, Add cumin seeds. 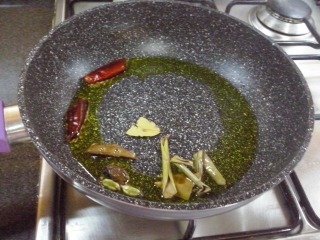 When you hear the cumin spluttering, add bay leaf, dry red chilli, green cardamom, black cardamom, cloves, mace and cinnamon stick. Mix well. 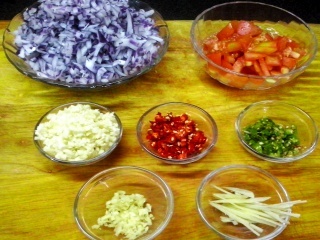 Add chopped garlic-ginger and mix well. 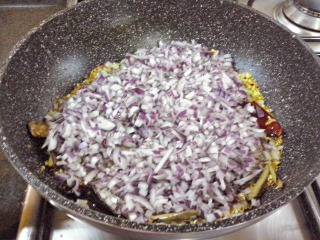 Add chopped onion and cook for 2-3 minutes or until it turns translucent. 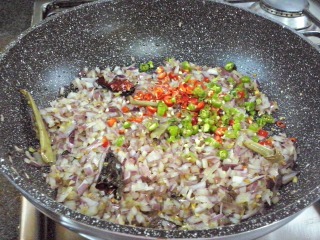 Now add the red and green chilies . 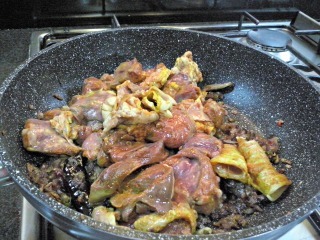 Now add mutton liver pieces and cook for 5 minutes on slow flame. 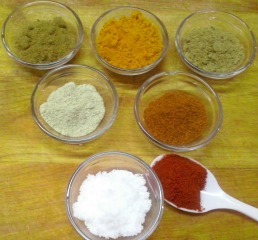 Add all spices (coriander powder, cumin powder, white pepper powder, turmeric powder, red chili powder and Kashmiri red chili powder), and Add the Salt. Mix well and saute till all liver pieces get coated with the all spices. Allow to cook for 5 minutes on slow flame. 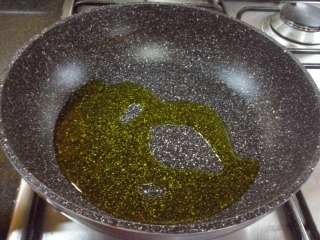 And, add one glass of water and mix everything while cooking on slow flame. Cover the pan. stir every couple of minute. After 20 minutes, check if the gravy is thick and the liver is cooked. If not, add little water and cook covered until the liver gets cooked properly. 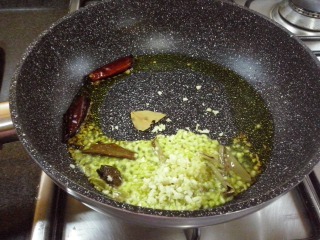 If the liver pieces are cooked properly, add clarified butter(Ghee). Turn off the gas. 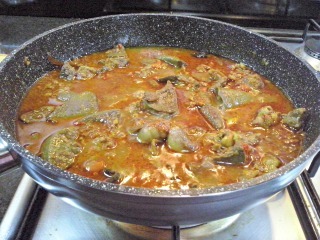 Take out the mutton kaleji from the pan. 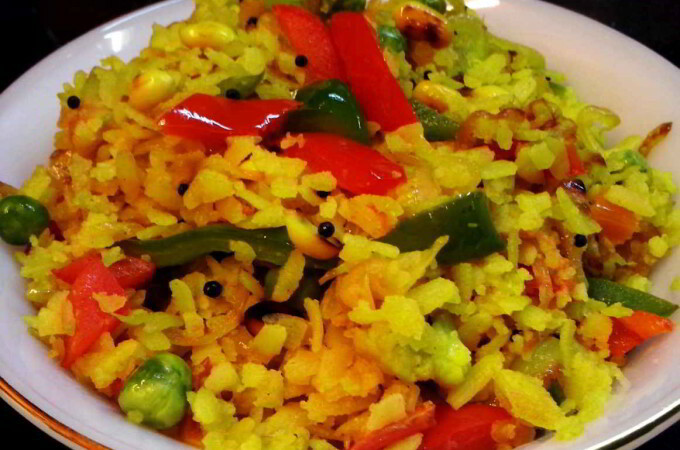 It is ready to be served. 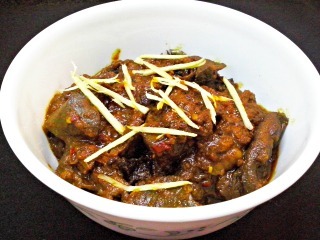 You can Garnish the mutton kaleji with ginger juliennes. 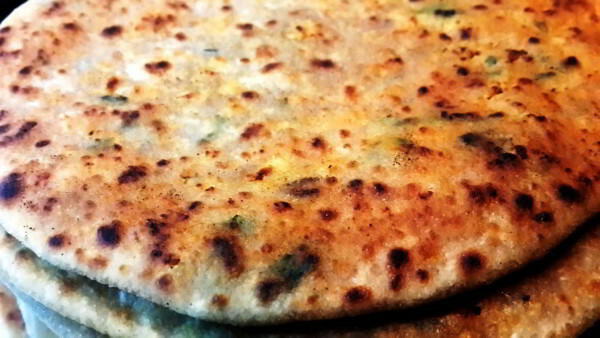 Best to serve this dish with Parathas.